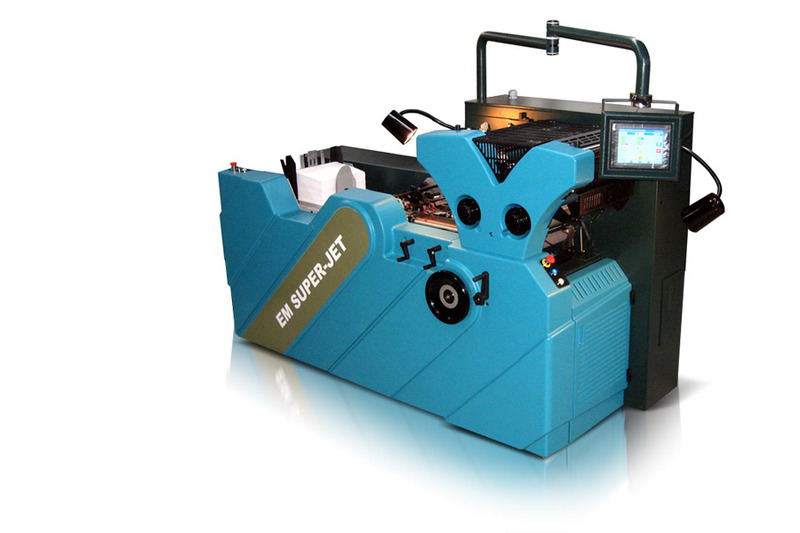 The new EM Super-Jet Printing press was the second project Vertex was commissioned to design, engineer and develop. 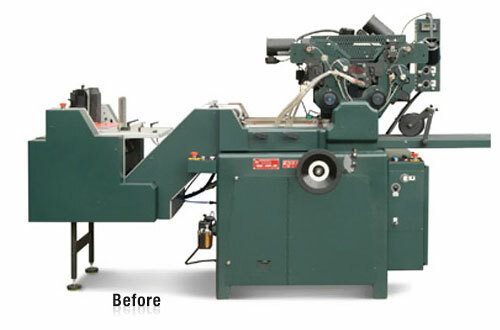 Our responsibility was to design and engineer a 6" cylinder, two color envelope printing press with a multi-purpose envelope feeder. We were responsible for engineering and designing the exterior covers and all the plastic and sheet metal parts. Our main objective was to explore the best manufacturing method for developing low quantities of the unit for manufacture per year, but also to plan for future second and third machines, which would use similar parts while maintaining a coordinated overall family product appearance. We decided to go with RIM (Reaction Injection Molding) to manufacture all plastic large-scale covers and sheet metal fabrication for back end cabinetry and safety covers. 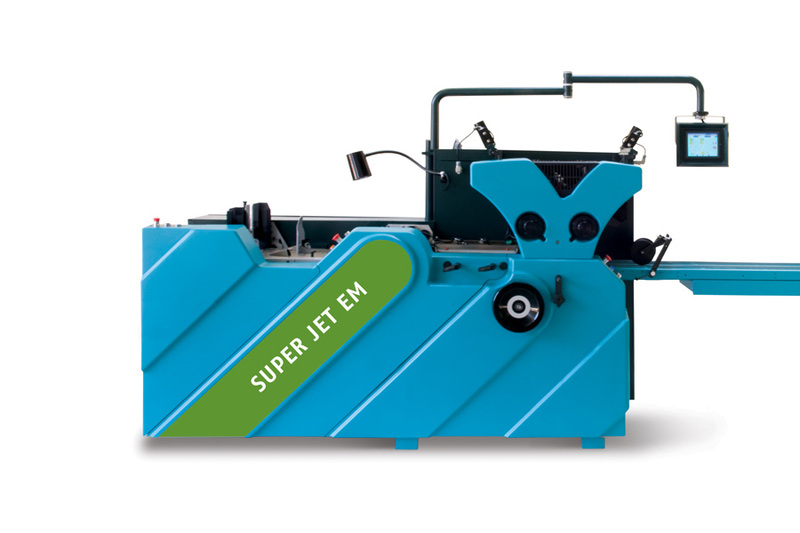 In addition, we designed two more presses to be included in the product family, the Jet EM and the EM 5000-4000.